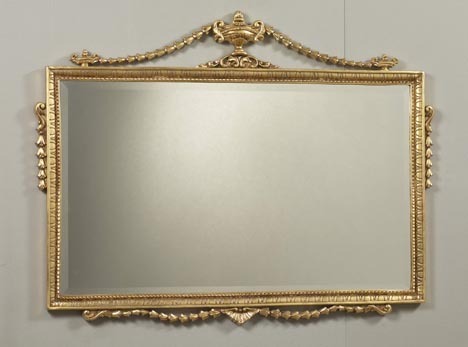 Adams Style Gilt Wood Mirror. Solid wood hand carved and hand gilt leaved. Carved form solid wood ..To Match most of our mirrors in the Reflection Collection at Christy Bird & Co.